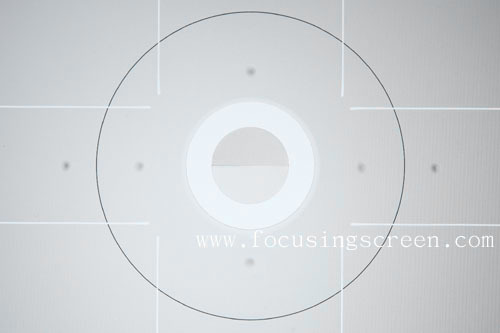 Canon 10/300/350/400/450/500/550/600D/650D/1000D/1100D camrea change split-image or micro-prism focusing screen the focus point will disappear,can only use center focus point, can't use to change focus point function. 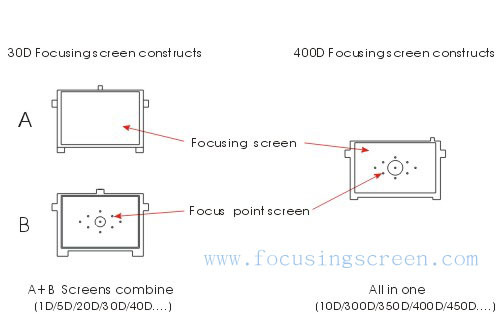 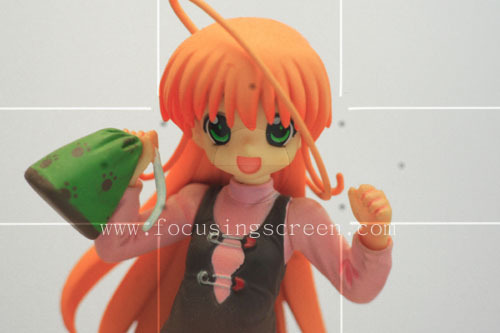 For resolving this problem...... We will mark focus point in the focusing screen Comparison BE 1:1,The focusingscreen will be able to use and change focus point.Focus point will show but can not bright. 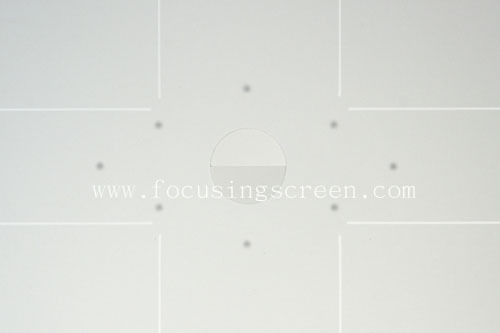 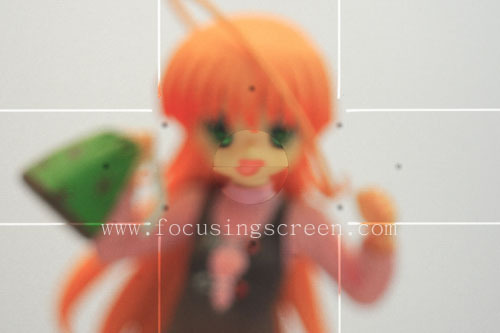 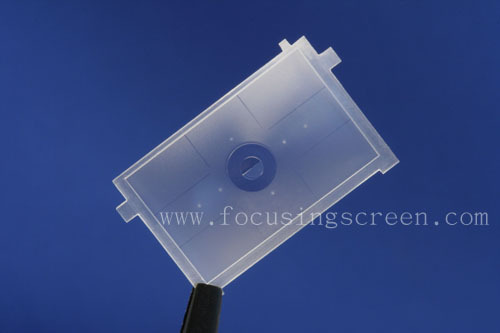 <P5>This is 450d F6A (Grid) focus point screen in the viewfinder appearance.